These are the Lukachukai Mountains, part of the northwestern spur of the Chuska Mountains and Lukachukai Pass separates them from the main mountain mass. “Lukachukai” is a Navajo word meaning “patches of white reeds” and no doubt refers to the many lakes occurring on the main flat-topped ridge of the mountains. In the image above, Finger Mesas radiate off of Mexican Cry Mesa resembling ancient fortresses on some alternative world. 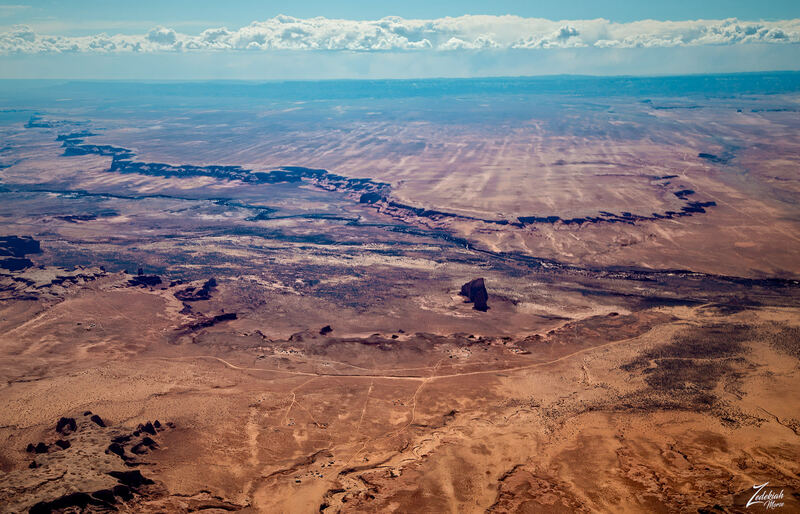 These sacred grounds are located on the Arizona part of the First Nations Navajo (Diné) Nation south of Four Corners and just over the ridge from Shiprock. Along the horizon on the left side of this image is the snow-covered Chuska Mountains. 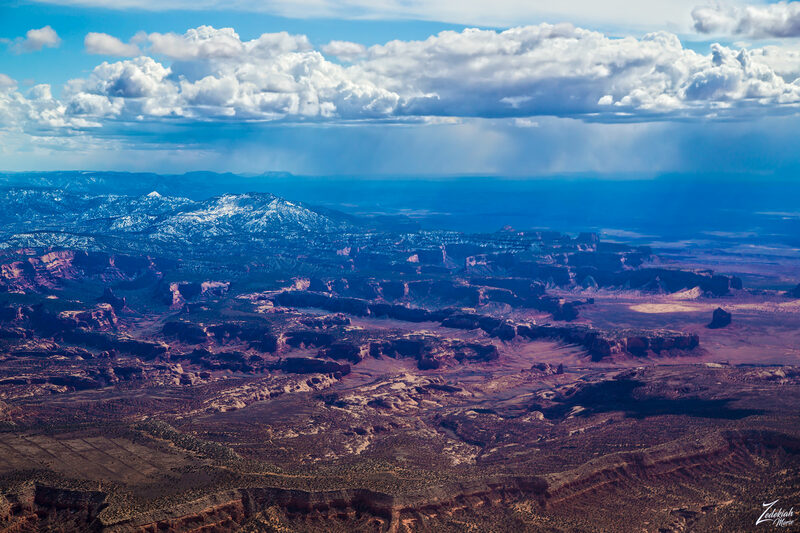 These are an isolated elongate range on the southeast Colorado Plateau whose highest peaks approach 10,000 feet. The range is about 50 by 10 miles (80 by 15 km). Moving right we see the flattops of the Sonsela Buttes and then the vast Lukachukai Wash Valley. In the immediate foreground, the ridgeline running horizontally along the bottom of the image is Kinusta Mesa. 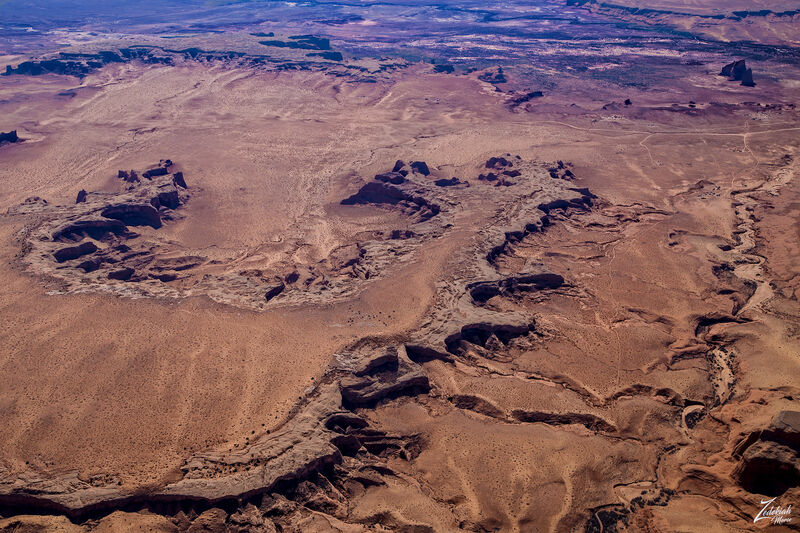 This image illustrates 3 different geologic formations, mountains, mesas and finger mesas and buttes. Place names given by the First Nations Tribes have meaning, usually tied to a historic event. In this image, there are numerous historical locations. The fortress looking finger mesas are named: Masacare Point / Rock Pointing West / Rescue Rock Mesa / Eagle Nest / Tzelena Canyon / Shonto Canyon / Red Mesa / Female Point / Thirsty Mesa / Mexican Cry Mesa / White Mesa / Female Point / White Ask Peak and Sitting Coyote Mesa. 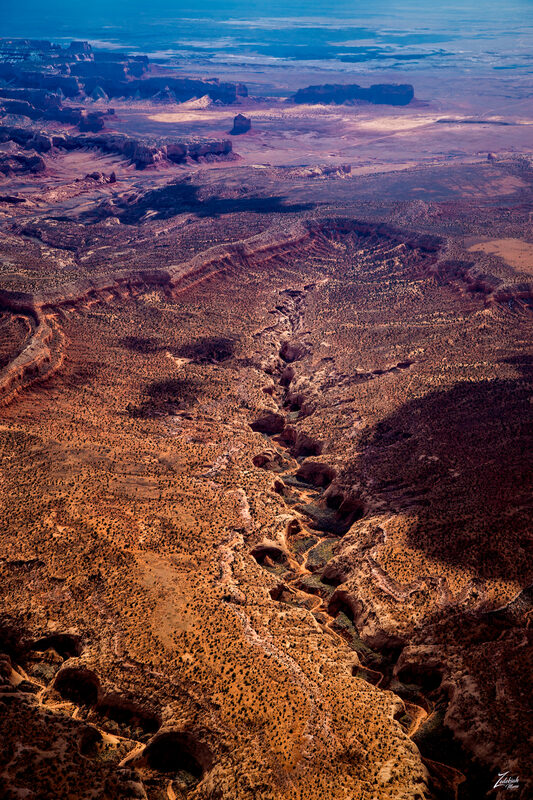 Finger-like mesas and deep, steep-walled canyons combine to form very rugged topography. Except for the higher mountain slopes above the heads of the canyons, rock exposures are excellent and fairly continuous, though in many places inaccessible. These finger-like mesas are not true mesas and bear such descriptive names at Two Prong, Camp, Cisco, Three Point, Knife Edge, Bare Rock, Flag, Step, Fall Down, and Thirsty. 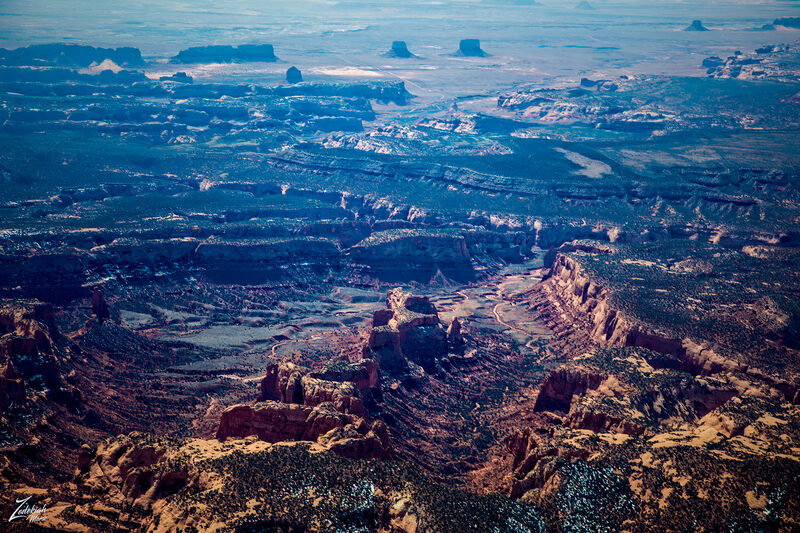 On the top right side of this image, you can see a dark-colored rock protuberance, this is known in First Nations Navajo ( Diné ) traditions as “Dancing Rock” or Tsé Biná’ookahi (Rock Around Which ?) or Tsé Bitsii’ (Rock’s [Head] Hair, or Hair Rock). Seems there are numerous names for this rock outcropping. In the image below, White Rock Wash cuts a path deep into Algrove Canyon while in the distance Rescue Rock Mesa sits above Massacare Point.